Each year, more dogs, cats and other pets end up in shelters as lost, stray or owner-surrendered than leave them for a new home. What can be done to reverse this trend? Immediate steps: Have a vet implant a tiny RFID (radio frequency identification) microchip. It’s safe, affordable and helps reunite the owner with a lost pet. 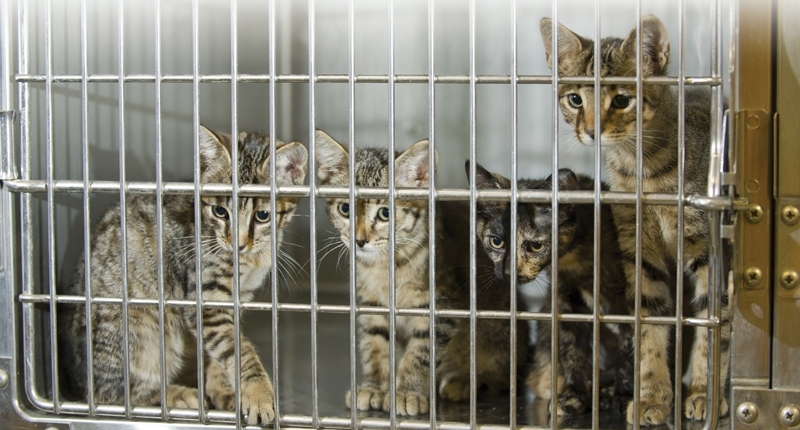 Spay/neuter pets to avoid unwanted litters. Spread the word: Only about 30 percent of household pets come from shelters or rescues, according to the ASPCA. To help, suggest that shelters post photos in the lobby, supported by a note about each animal’s good points and special needs to entice potential adopters. Also share YouTube videos that celebrate adoption and advocate controlling the pet population (see Tinyurl.com/SpayNeuterStreetMusic1 andTinyurl.com/SpayNeuterStreetMusic2). 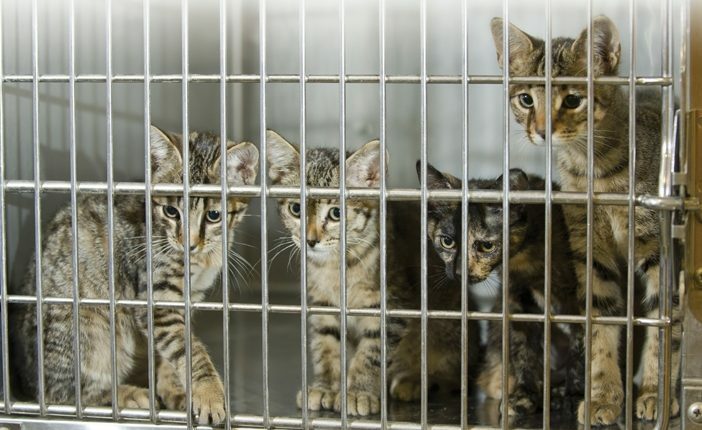 No kill shelters are becoming more common, even though they require uncommon commitment. As part of implementing effective procedures and infrastructure, shelter leadership works to secure the support and involvement of the community. By joining together to implement lifesaving programs and treat each life as precious, a shelter can transform a community. 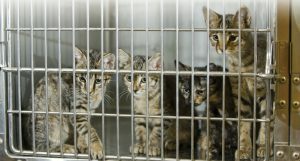 Find a no kill shelter primer at Tinyurl.com/NoKillReform. Illegal wildlife trading and loss of habitat are huge and escalating problems wild animals face every day. Small repopulation success stories exist, but progress is slow. Here are some of the most urgent and dramatic perils topping the lengthy endangered species list. Northern white rhinos once freely roamed East and Central Africa south of the Sahara. Until 1960, there were more than 2,000; today, only five exist—one in the San Diego Zoo’s Safari Park, one in a Czech Republic zoo and three at a wildlife conservancy in Kenya. Pangolins eat ants and termites. Hunted for meat and their scales (used in Asian medicines), they are one of the world’s most endangered mammals (see Tinyurl.com/SavePangolins). Thirty years ago, the world population of lowland gorillas numbered 240. Thanks to the Mountain Gorilla Veterinary Project, in Rwanda, Uganda, and the Democratic Republic of the Congo, the population has grown to an estimated 880 (GorillaDoctors.org is supported by SaveAGorilla.org). Led by Ruth Keesling, the project has shown the inestimable value of the species. “Once you’ve looked into the eyes of a gorilla, you’re forever changed,” says her son Frank, in Denver, Colorado. Make saving animals a priority. Contact legislators. Be a law-abiding consumer—don’t buy ivory or other endangered-animal products. Support conservancy groups. Share information. Donate time and money. Annual running events with participants donning gorilla costumes raise funds and awareness. Following the Austin, Texas, event in January, runs will be held in Cincinnati, Ohio, on March 29 and in Denver, Colorado, on November 1. “Another way to help gorillas is to recycle cell phone and computer batteries. Coltan [tantalite]is used to make batteries—13 percent of the world’s supply of coltan is in the park area of the Congo,” says Frank Keesling. Barriers to improving the lives of animals can be overcome and banished when we believe it’s possible and everyone helps. The animals are counting on us.